I think it’s fair to say that the original Nautilus was a very popular and widely used atomizer. 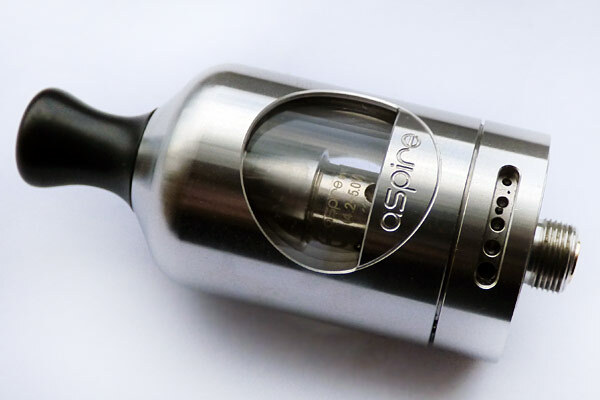 Aspire followed that success by releasing the Mini Nautilus which featured the strengths of its predecessor only in a much more compact design. 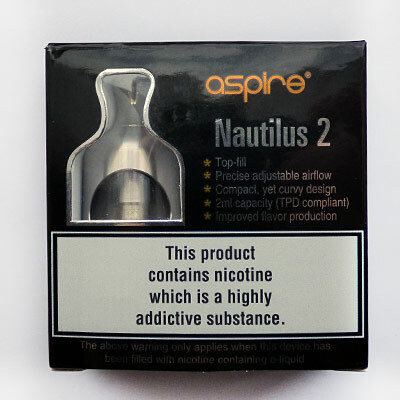 We have lately seen the release of the Nautilus X and now the Nautilus 2 is here at last and people are understandably excited but given the fact that Aspire has had to ensure that the tank falls in line with the EU’s TPD regulations you may be worried that has reduced the appeal and have held off from purchasing. Given the popularity of the original tank you might also wonder if this is truly a worthy successor. Those are both very valid reasons to wait for reviews so without further delay let’s cut right to it and see exactly what the new Nautilus 2 has to offer you! In my opinion the packaging and contents are excellent and thankfully the tank includes a choice of two coils suited to either a MTL or a Sub Ohm experience. The further inclusion of a nicely written manual and warning cards is also worth mentioning since it caters well to a new vaper. The inclusion of two different drip tips is definitely a nice bonus! 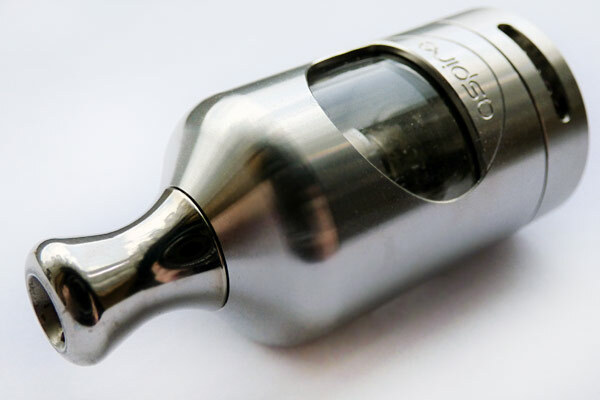 The Nautilus 2 is a highly compact atomizer which stands 53mm in height. The design is beautiful featuring a brushed Stainless Steel finish and it looks truly elegant! The tank features a domed top and this helps to ensure improved flavour. Given that the overall size of the chimney has been reduced due to the TPD compliant 2ml capacity I felt that also helped to promote better flavour. The construction is superb and the individual parts feel weighty and durable. Everything fits together extremely well and there are no unsightly gaps or roughly machined threads to be found. 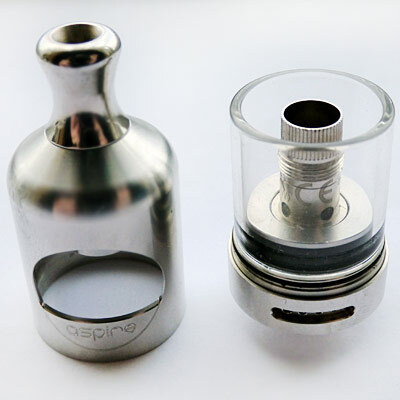 Keeping ease of use in mind Aspire have kept the Nautilus 2’s individual parts to a minimum and the tank consists of a Stainless Steel outer housing which also works as a shield to prevent the glass from being accidentally damaged, a Pyrex glass tube, a base to which your coil is fitted and finally a choice of two drip tips; either a Stainless Steel or a Delrin one. You can of course happily use your own drip tips since the Nautilus 2 features a standard 510 drip tip fitting. The airflow is fully adjustable and consists of five individual holes that become progressively smaller. The airflow adjustment works well but straight out of the box I found it a touch stiff but if you use a little bit of juice or some VG to lubricate it you are unlikely to run into further problems. Unlike the Mini Nautilus the Nautilus 2 airflow is quite varied and at its most open caters to a slightly restrictive lung inhale style or vaping. 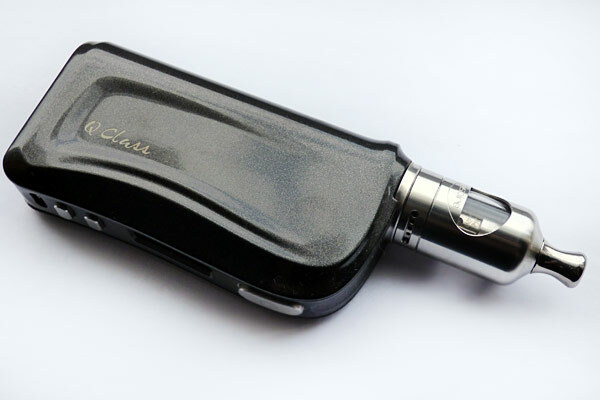 Closing down the airflow the vape becomes progressively more restrictive and very tight when limited to the single smallest hole so it will be absolutely ideal for anyone who enjoys a mouth to lung vape. Installing coils is simple and fully detailed in the manual but thankfully the 0.7ohm coil is pre-installed so you can get vaping almost right away. Filling this tank is perhaps a little unusual because it is only top filling in a very general kind of way and the Nautilus 2 has no dedicated lid or top cap. What you have to do is unscrew the Stainless Steel outer shell and this reveals the base with the glass tube fitted to it. Remember to keep the tank upright and you can leave it attached to your device if you wish. You then simply squeeze in juice to the indicate fill level before refitting the metal shell. You may need to press down slightly before tightening and take care not to over tighten it because I found it can stick on occasion. 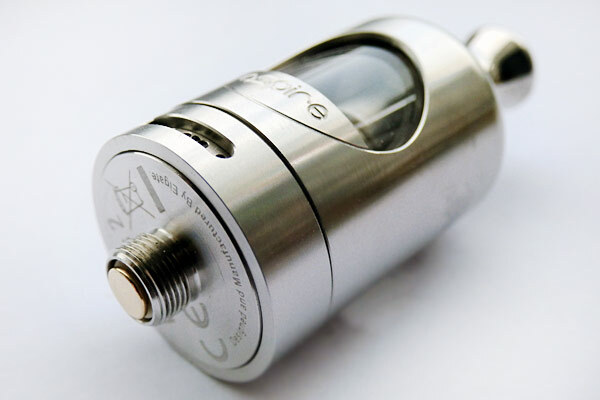 Aspire state that the tank holds 2ml of juice but in actual fact given that you don’t want to pour two much juice in there or the pressure will force it down the chimney and out of the air holes you are actually limited to about 1.8ml capacity. Given that the overall size of the tank is relatively short and compact you would expect flavour to be pretty decent and I am happy to report that it is absolutely on point and truly excellent no matter what juice you choose to use! I have used Flavour Boss Mother’s Milk in it, Fallstreak Cirrus, a whole range of LDN LIQ E-Liquid and some Colonel Boom’s Lt. Ripley. I could find no fault at all with the experience I got from the Nautilus 2 coils. It made absolutely no difference whether I used 50/50, 70VG/30PG or 80VG/20PG liquids. 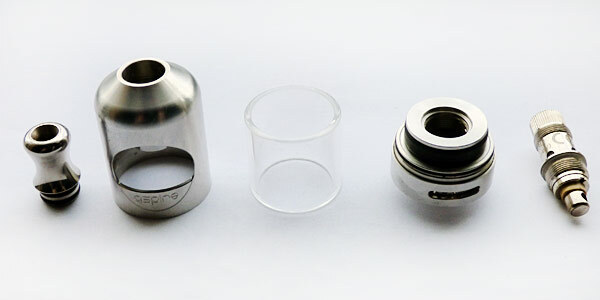 Vapour production when using the 0.7ohm coil is surprisingly good when the airflow is fully opened up and even though it is not excessive I am sure it will certainly satisfy most average users. 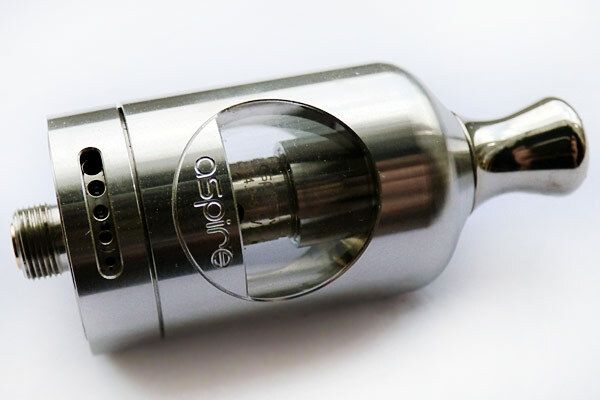 Even if you don’t want to specifically use the 1.8ohm coil you can get an excellent mouth to lung experience with the 0.7ohm coil by heavily closing down the airflow to the point where it becomes a very tight and restrictive vape. The 1.8ohm coil is a slightly different experience but will suit a mouth to lung user perfectly and thankfully also results in slower juice consumption. I personally thought the flavour from both coils was excellent but the 0.7ohm has superior flavour in my opinion and significantly greater vapour production as you would expect from a Sub Ohm coil. The most noticeable difference is that the 0.7ohm tends to be a much warmer vape and is at its best around the 18-20W region but you can get a perfectly enjoyable vape at 14W if you prefer things to be a little cooler. The 1.8ohm coil on the other hand only needs between 7-9W of power which will result in far less battery drain should that be a concern. I’ve been vaping the 0.7ohm coil heavily and it only just started to pack in after six days but keep in mind I am something of a serious chain vaper and you will likely get longer than that. I only have fitted the 1.8ohm coil for a short duration just to see how well it vapes and so I could provide a complete review but I would assume it will at least last a week or more if you are a more modest user. While I personally have moved on from tanks that feature pre-made coils because I’m a tight Northerner and hate continually paying for them I still do have those occasional moments where I really cannot be bothered to wrap a coil and install it and I ideally prefer to have something to hand so I can just have a quick vape when I want to. I am pleased to say that much like my Nautilus Mini, the Nautilus 2 certainly fits that role ideally! The 2ml capacity is a slight annoyance to me (as it is with all 2ml tanks) but then that’s the EU regulations for you and not Aspire’s fault but on the positive side of things I really don’t feel like I’m draining the juice ridiculously fast. Granted the 0.7ohm coil does get through the juice at a faster pace as you would expect but not as badly as many dual coil Sub Ohm tanks that have tried but in my opinion the 1.8ohm coil is pretty forgiving. Even though I do really enjoy the 0.7ohm coil vaping experience I think I would realistically stick to the 1.8ohm due to the benefits of less battery drain and lower juice consumption but I do think it’s really nice that Aspire have given users and a choice and the two included coils mean you can find out exactly which experience suits you best! I can honestly find only two negatives with the Nautilus 2 and both of them are very minor. Ideally I would have preferred a dedicated top filling system because the current design causes the metal shell to stick if you accidentally over tighten it and the airflow ring can be a little stiff when you first use the product but that is quickly overcome by a little lubrication. However despite that I think it is an awesome tank and its real advantages are that it vapes exactly like the Mini Nautilus but with now with a wider variety of airflow options, better flavour, improved vapour production when using the 0.7ohm coil and an elegant redesigned shell. In short I absolutely love this tank and find myself reaching for it often! 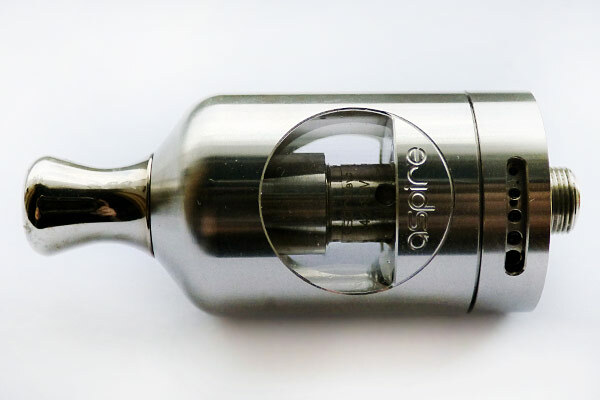 This is a truly superb offering from Aspire and if you are new to vaping or an existing fan of the Nautilus or just someone who wants an atomizer that also caters to a good mouth to lung experience then this is without a doubt something you should definitely pick up!